The initial Joshua vs Povetkin undercard is now starting to take shape ahead of next month’s September 22nd show at Wembley stadium. It will see Joshua return to the scene of his most impressive win to date over Wladimir Klitschko where he and big Wlad wowed the world with a slug fest heavyweight battle full of knock-downs, blood, guys and ultimately a stoppage. 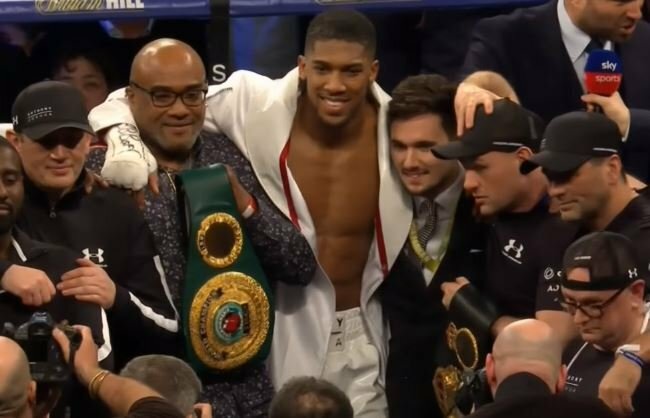 Taking on Russian Alexander Povetkin is no easy task for Joshua this time out. Perhaps the toughest assignment of his career outside of Klitschko to date. But the Joshua vs Povetkin undercard is also shaping up to be quite competitive too. At least looking at the first two bouts added of Luke Campbell vs Yvan Mendy and Matty Askin vs Lawrence Okolie. The first of the above will see Campbell rematch the first man to beat him as a professional. So a lot of credit must go to Olympic Gold medalist Campbell for trying to get back in there and vanish the demons, so to speak. A lot has happened since then for him. No 30, between training in the US under Jorge Rubio, re-building and putting together some wins, losing narrowly via split decision to the world-class Jorge Linares, who gave pound for pound supremo Vasyl Lomachenko everything he could handle earlier this year – to Campbell now switching trainers to Shane McGuigan recently and moving back to the UK. Mendy will certainly face a very different fighter come September 22nd. The other fight between Anthony Joshua-managed Lawrence Okolie and Matty Askin for the British cruiserweight title is a good step up for prospect Okolie at this stage, who’ll go in a with a big hitter like himself in Askin and a chap who will have zero fear of him. Not a bad start to the undercard so far. Hopefully some more quality fights get announced soon.